HokeyFolky | Music discovery blog hokeyfolky: My Trash Find of the Week! My Trash Find of the Week! I found this treasure in someone's trash last week in East Falls. 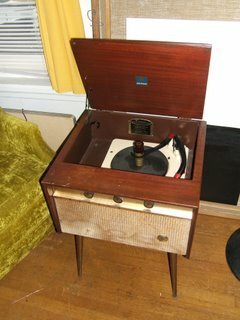 It is an Emerson Hi-Fidelity Record Player. I took it home even though I was sure something had to be wrong with it. I plugged it in and it worked! 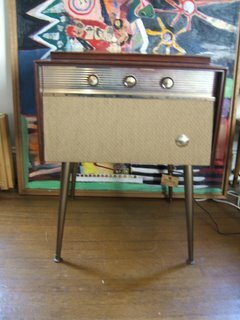 I reupholstered the fabric on the speaker and repainted the rusty legs. I am very excited about all this!